Dr Balaji has 22 years of experience as clinical embryologist. He spent 13 years of 17 years’ experience in KKIVF as Chief Embryologist where he managed the IVF and Andrology labs as well as the National Sperm Bank of Singapore. He has personally performed more than 3,000 intracytoplasmic sperm injections with a clinical pregnancy rate of 40 percent per embryo transfer procedure. 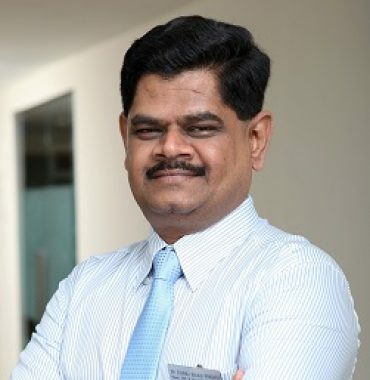 Dr Balaji has trained many doctors and embryologists on IVF lab techniques and was instrumental in achieving Singapore's first pregnancy and live birth via Laser Assisted Hatching. His more recent achievement was the world's first live birth from frozen-thawed embryos obtained after maturing in the lab (In-Vitro Maturation), and intracytoplasmic sperm injections of oocytes recovered from a surgically-removed cancerous ovary. He is a member in Editorial Board and reviews research papers in many International Journals. Taking this path to parenthood is a huge step that can affect you profoundy both emotionally and physically. Working together with our expert clinicians, our clinical psychologist can help you with all emotional aspects of your decision. Our entire team of clinicians, nurses, embrologists and administrative staff are honoured to support you throughout your journey of Assisted Reproduction at Thomson Fertility Centre.